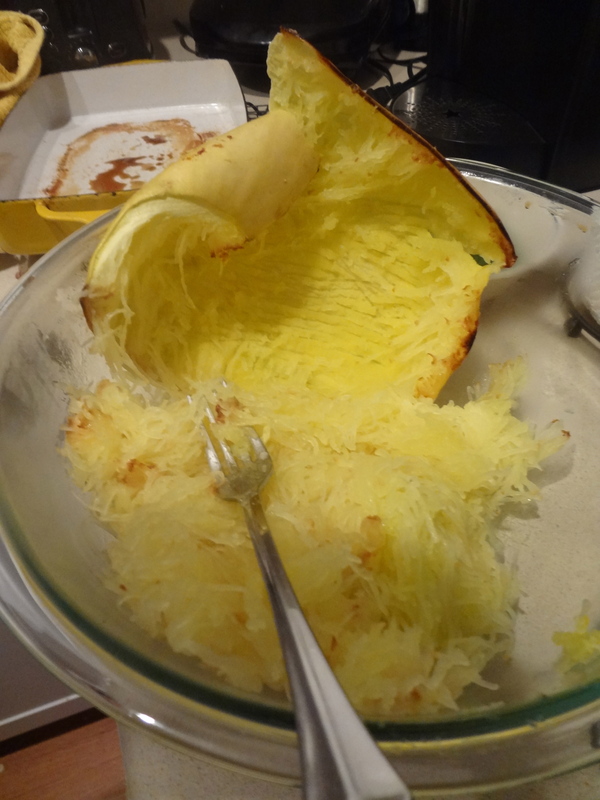 If you have never tried spaghetti squash I am sorry to break it to ya but you are for sure missing out. It is a great substitute for pasta, you can seriously make it taste JUST like spaghetti and not feel as guilty eating it…also not as sluggish or sleepy as you might from eating high carb spaghetti. 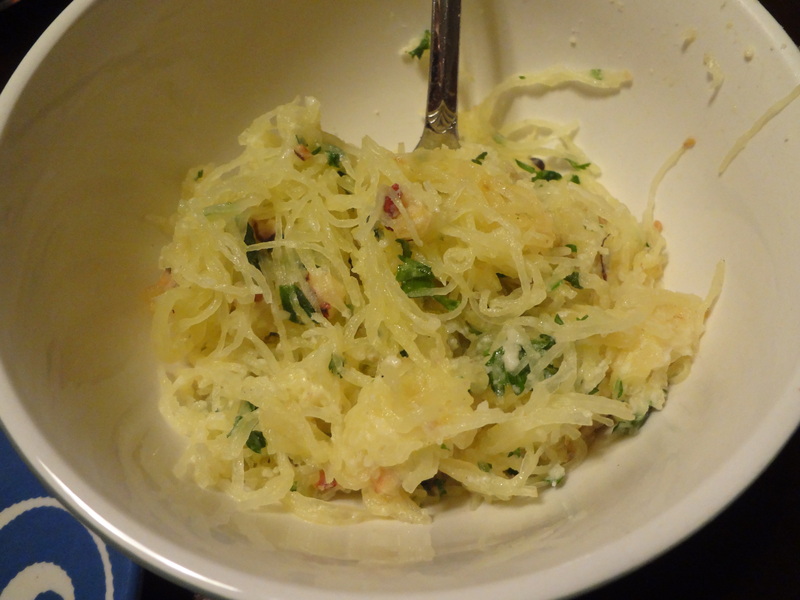 It is also spaghetti squash season…so get out there and pick yourself a good one! (beware they can be hard to cut, but if I can do it, you can do it). Preheat oven to 400 degrees. Brush cut sides of squash with oil, and sprinkle with sugar and salt and pepper to taste. Place squash, cut sides down, on a rimmed baking sheet. Roast until tender, about 45 minutes. Let cool slightly on sheet on a wire rack, about 10 minutes. Scrape squash with a fork to remove flesh in long strands. Place in a large bowl. 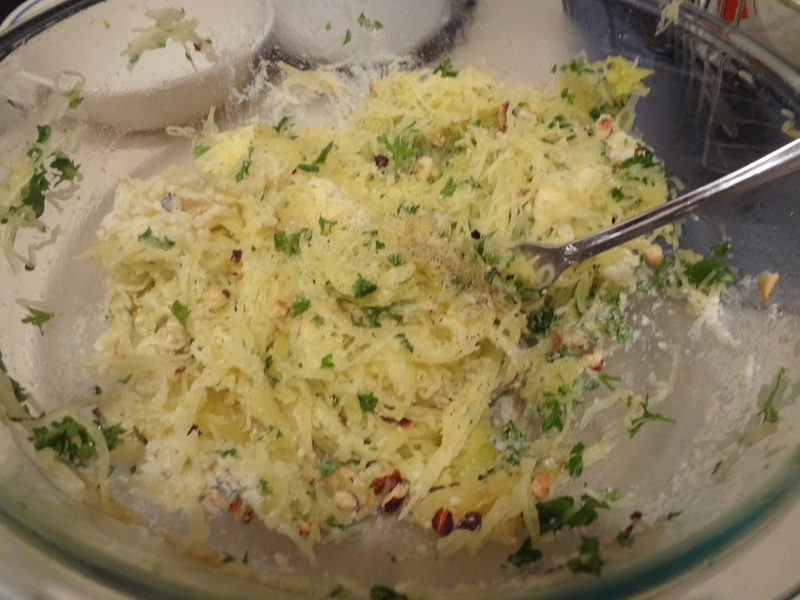 Add oil, Parmesan, parsley, cilantro, hazelnuts, 1 teaspoon salt, and pepper to taste. Toss, and serve immediately. This is how easy it is to scoop this thing! Be careful, it is hot and don’t grab the thing like I always do and say “WOW that is HOT!”…duh. Makes a nice big bowl for easy leftovers! Make sure to add the hazelnuts, they make it so savory and delicious. Just like fresh herbs, don’t ever skimp on nuts! 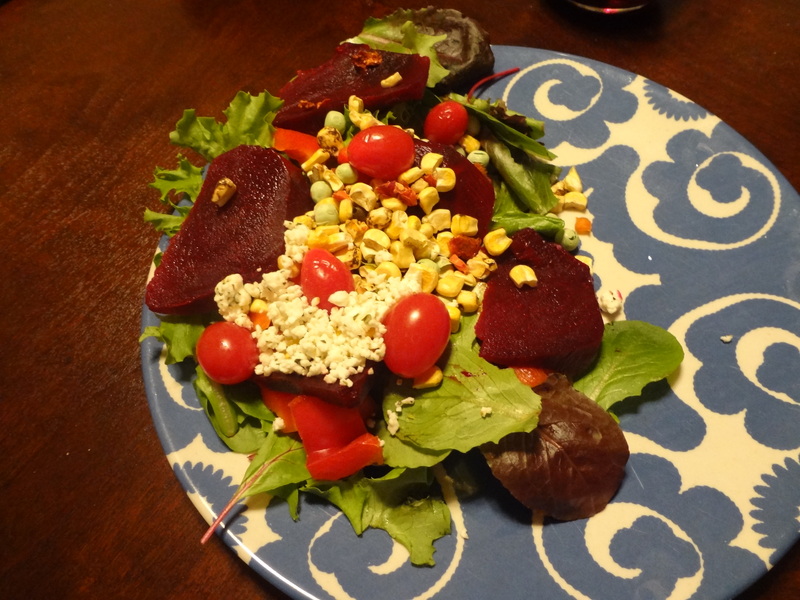 Something that I am noticing is how much I use the words “great, amazing, delicious, duh..” Reminds me of the time I taught my first lesson for student teaching and my co-op told me I said the word “okay” 75 times….so , I just wanted to check and make sure my students got it…okayyyy??? ?